Following her heart is what freshman Rachel Reiter does best. “It sounds really cheesy, but I believe in doing what you’re passionate about and going with your gut instinct. A lot of my big decisions are made that way,” Reiter said. Reiter has already made a lot of big decisions in just the beginning of her high school career, with choosing not to try out for the high school volleyball team, deciding to create her own club and joining newspaper. Reiter has played volleyball for a long time outside of school and was planning on attending tryouts for the high school volleyball team. Just days before tryouts, she decided not to go out for the team. Not only does Reiter have a good idea of what she wants to be once she grows up, but she is already taking steps to gain more experience in her future field. 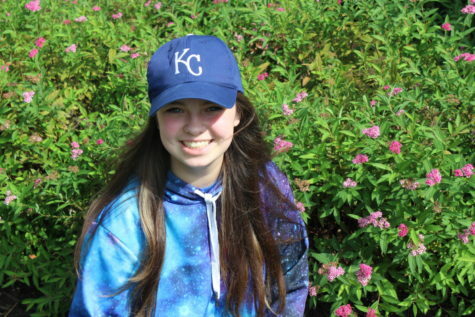 A lover of languages, Reiter plans to take Spanish all throughout high school and start a Japanese language club in hopes of becoming a translator one day. Reiter’s hobbies include drawing and writing, both of which she’s managed to fit into her class schedule. Taking observational drawing was a given when determining her classes, and after meeting some of the newspaper staff in the last school year, taking newspaper became a priority as well.